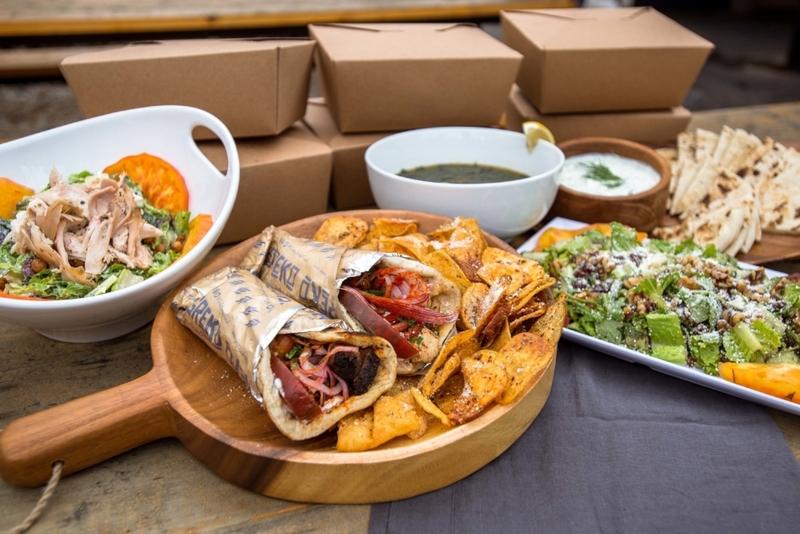 Have Greko Cater your next event! We'll bring our fresh Greek flavors to you! From small groups to crowds as large as 500 people, our catering menu highlights some of our absolute favorites. We'll work with you to create an amazing experience for your guests. Opa! We created GReKo Greek Street Food as a way to honor our own Greek heritage and bring the rich culture of Greece to Nashville. With roots in Greece that extend for generations, we've spent many years here in Nashville and know there's something missing; the true experience of authentic Greek street fare. Although our family has been in the restaurant business for 40 years, with GReKo, we're combining our love of food and service with our passion for our culture. Both our food and interior represent the authentic streets of Greece. GReKo transports you to the villages of Greece, where vibrant graffiti and street art cover the alleys and decorate the buildings. Playing off this inspiration, we use street art to decorate the exterior and interior of GReKo, making it feel both welcoming and lively; it's comfortable for all. In the streets of Greece, the smell of fire roasted meats fill the air and those same aromas welcome you to GReKo.